The Sons Of Liberty - Bradlee Dean: Who's to Blame for the Unborn's Blood? 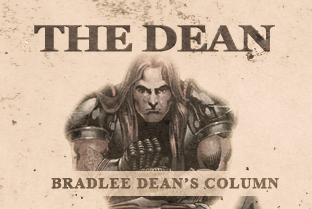 Home - The Dean-Bradlee Dean: Who's to Blame for the Unborn's Blood? We need look no further than to the criminal in the White House who has voted over 241 times advocating abortion, as if to say murdering children is lawful. If that’s not good enough, Barack Hussein Obama has even voted to make sure there is a second doctor in the room to “snuff out” the baby if it is born alive. “Rare,” Mr. President, like 57 million innocent babies who have been murdered since 1973? “Rare,” Mr. President, like 3,700 innocent babies who are slaughtered in the womb every day? We also found last week that Attorney General Eric Holder’s wife went in for the kill as a financial profiteer from the abortion industry. This administration’s attorney general polarizes or attempts to incriminate old ladies who stand up against the murder of children. And why? Well, now we know. And if the professing church won’t stand up, God will use a pro-choice prosecutor, such as the one in Gosnell’s trial, to expose and shut down the abortion industry. The law is there to protect the innocent, and it is there to condemn the guilty. Now it is time for America to do her part and lawfully prosecute this criminal administration, and it’s time to for government to lawfully protect the innocent in the womb.